This week we take a closer look at Mother of Pearl, one of our best selling product ranges. Mother of Pearl makes for stunning and shimmering iridescent jewellery that looks great for day and night. The natural material comes from the shell lining of molluscs and when you wear it, it helps focus your attention, and signifies faith, charity, and innocence. Here are some of our favourite Mother of Pearl pieces. 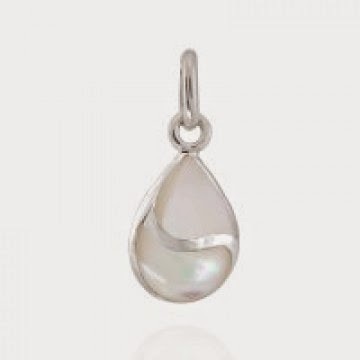 This simple but stylish Mother of Pearl and sterling silver teardrop pendant is one of our best sellers here at Essential. The understated pendant is priced at £12.99 and can be matched with one of our sterling silver chains. 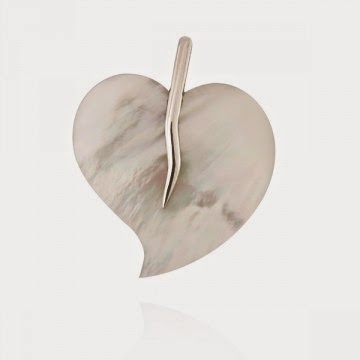 But if you're looking for more of a statement piece why not opt for this Mother of Pearl and sterling silver heart pendant. This lightweight and fun pendant is priced at £17.99 and is great for casual wear. 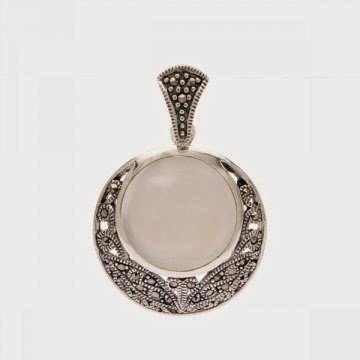 If however, you're looking for something a bit more special, choose this Mother of Pearl and marcasite, sterling silver pedant. Priced at £24.99, the beautiful contrast of the light shimmering shell with the shine of the dark marcasite gives a sophisticated vintage look to your evening outfit. 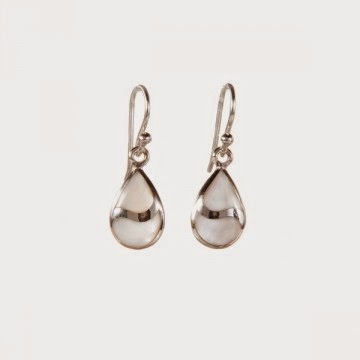 You can buy these Mother of Pearl and sterling silver peardrop drop earrings to match the pendant above, or wear them on their own. Either way, priced at £14.99 you're sure to get great value for money and look beautiful. 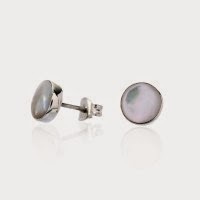 If you prefer studs these Mother of Pearl and sterling silver earrings are a great choice. They're small and delicate, and affordable too, priced at just £8.99, but with this beautiful shell, a little goes a long way. 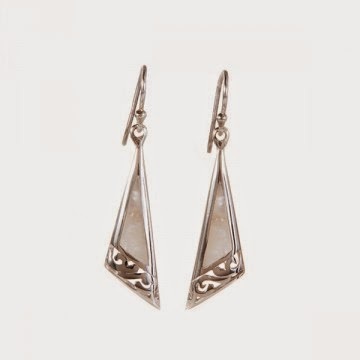 If you fancy something different go for these unique Mother of Pearl and sterling silver drop earrings. The modern design with delicate cut out detailing will give a sophisticated look to any outfit. Priced at £22.99. 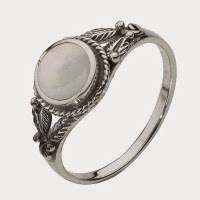 This boho style Mother of Pearl and oxidised sterling silver ring is one of our best sellers. And priced at only £10.99 we understand why - it's a steal! 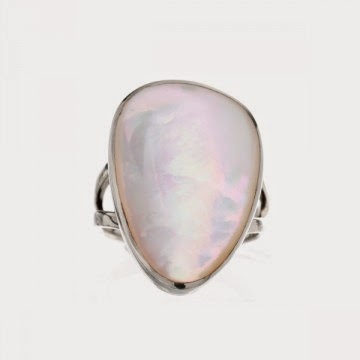 But if you're looking for something a little bit more chunky this Mother of Pearl and sterling silver ring is a great buy. The simple but gorgeous design lets the shimmering shell speak for itself. Priced at £35. 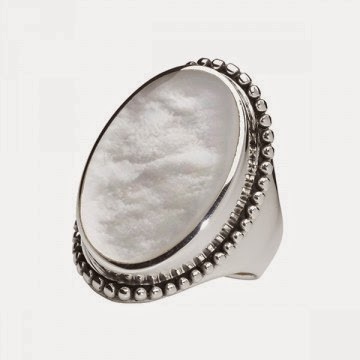 And for something that makes even more of a statement choose this Mother of Pearl and sterling silver cocktail ring. This chunky piece is priced at £48. Look here! Mother of Pearl can be fun and funky too! 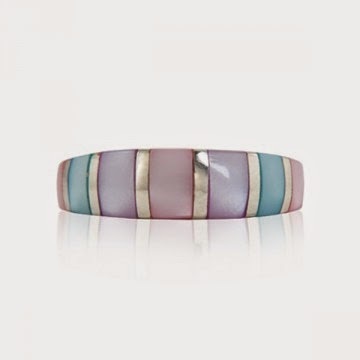 This dyed Mother of Pearl and sterling silver ring, priced at £14.99, has gorgeous on-trend pastel colours and iridescent beauty. These are just the best bits! We've got even more beautiful Mother of Pearl jewellery online and in our stores too. All jewellery here is available online and in stores subject to availiabilty.